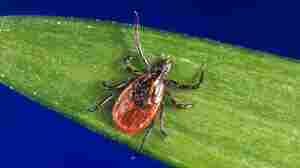 May 7, 2018  The tick-borne illness is spreading north and south — about 300,000 U.S. cases a year. As scientists work on better diagnostic tests and surveillance tools, you can take steps to cut your risk. March 20, 2018  See how a tick sinks its hooks into a human for a long meal. And find out the best way to remove it. 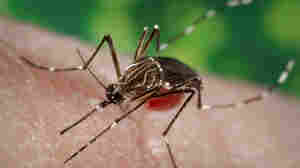 #CuriousGoat: Will Climate Change Help Ticks And Mosquitoes Spread Disease? April 21, 2017  The disease-spreading bugs are creeping north in the states. But will they bring diseases like Lyme and Zika with them? 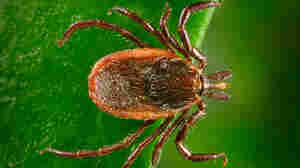 Beyond Lyme: New Tick-Borne Diseases On The Rise In U.S.
March 11, 2017  The world is seeing more and more new diseases, and the U.S. is no exception. 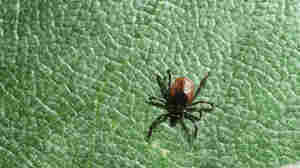 We're living in a hot spot for tick-borne diseases. Some are deadly. The key to stopping them may be an unlikely critter. March 6, 2017  One scientist is predicting a risky year for tick-borne Lyme disease in the Northeast, and it's spreading. But don't panic. We've got tips. March 6, 2017  Lyme disease is spreading, and this summer is shaping up as a whopper. 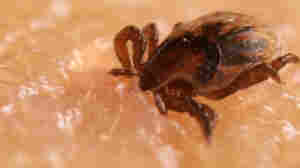 Why has the tick-borne illness gotten so bad? The answer traces back to something the colonists did more than 200 years ago. 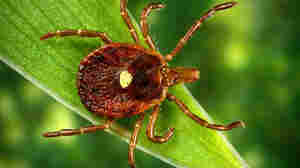 July 20, 2016  Scientists have tested all sorts of strategies to keep Lyme disease ticks from biting us. 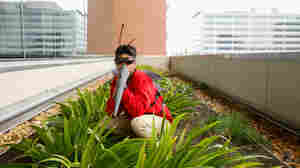 One is to make it less likely you'll cross paths with the critters in your yard. Sawdust mulch, anyone? 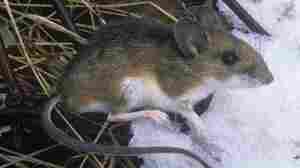 Are Genetically Engineered Mice The Answer To Combating Lyme Disease? June 16, 2016  Picture many thousands of mice let loose on a Massachusetts island in an effort to fight Lyme disease. Anthropologist Barbara J. King looks at the ethics, and possible effects, of this prospect. March 30, 2016  A clinical trial found that three months of antibiotic treatment wasn't effective in relieving persistent Lyme disease symptoms. It's the latest study to suggest the approach is ineffective. 'Pandemic' Asks: Is A Disease That Will Kill Tens Of Millions Coming? February 22, 2016  Author Sonia Shah says that urbanization and air travel put the global population at an increased risk for disease. "Zika is a great example of how new pathogens are emerging today," she says. 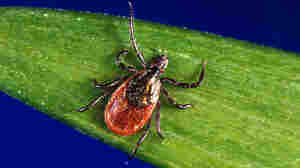 February 8, 2016  It's not the tick that causes Lyme disease, but the bacteria that live in its spit. Scientists at the Mayo Clinic have found a second bacterium capable of causing the disease in people. What's The Scariest Halloween Costume Of Them All? October 29, 2015  It's a bloodsucking creature. But it's not a vampire. Or a vampire bat. Here's a look at the eight deadliest animals on Earth (and a costume primer). 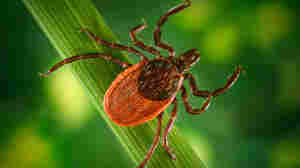 August 19, 2013  Fewer than 30,000 cases of the tick-borne illness are reported each year. 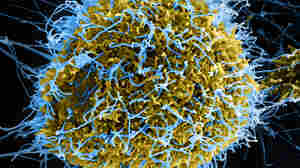 But the CDC says surveys of labs that test for the disease, six years of insurance claims and other surveillance methods suggest that the number of infections is actually 10 times higher. December 29, 2012  Researchers argue that ecology has a pretty big say in whether disease rates increase or die down. They used a new field that blends economics and ecology called "macroecology" to figure out how biodiversity loss affected disease burden. 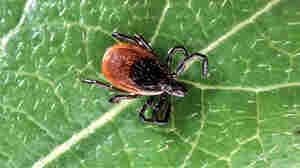 November 27, 2012  The rare condition is starting to be seen outside of the Lone Star tick's known territory in the southeastern U.S. Scientists say this could be due to an expansion of tick territory or simply that people are being diagnosed after they leave the area.